I would like to spend a few words about how I edited this mission. The enemies are Russian infantry squads and AT-13, anti-tank missile teams. I placed one pair of such enemy teams some 2 km away and all around from the immobile tank position. Total of enemy teams pairs was 5. Each pair had a probability of appearance of 35% and a placement radius of 300 meters. Each team has a waypoint directly on the immobile tank and those waypoints get activated by a "Radio Alpha Call" (so I can spend some time setting up my defensive positions). 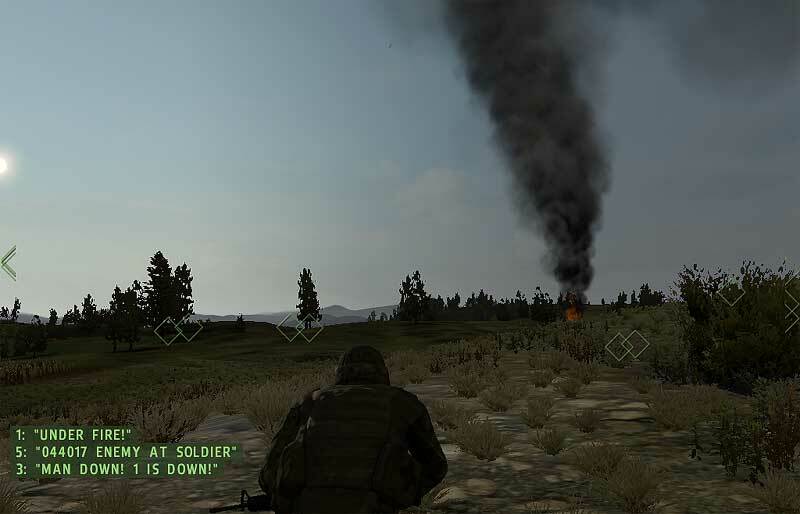 After setting up our defensive positions I decide to move onto the green fire team position (10 o'clock). As I mentioned in a previous entry, there is a very nice keyhole position there from which I can see all other fire teams. Waiting for contact is one of the most exciting things in this simulation. Only second to hearing the first shot and trying to figure out where it came from. An infantry squad spotted at 4 o'clock. Fire team blue (positioned at 6 o'clock and in great high terrain) opens up. If they are moving, they are toast. That's pretty much how it works in this simulation. 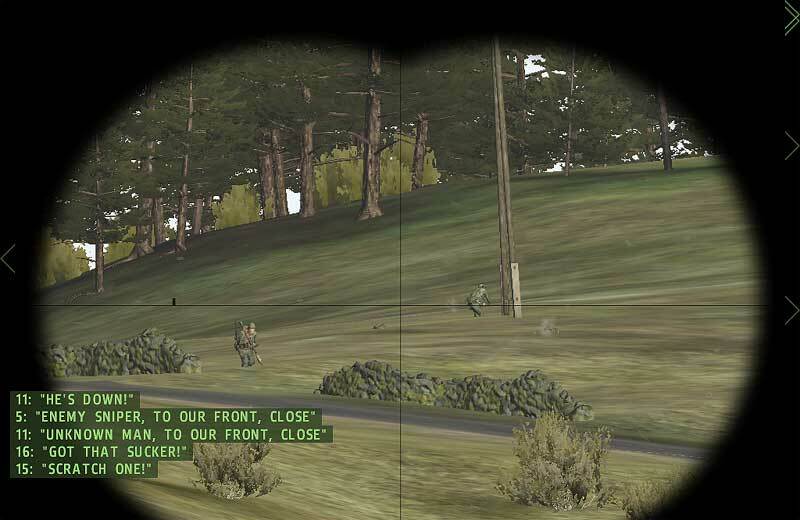 While I was monitoring the fire fight and double checking that all other teams kept their original orientations (you will never know if more infantry could come from other directions), I hear that dreadful "wooooshhhh". The tank was hit but it survived. After two or three minutes the firefight winds down. The enemy apparently will not attack us from other directions. There are still some enemy infantry remaining at 4 o'clock, and they keep coming in and out of sight. The AT missile flew directly over our heads and destroyed the immobile tank. We just failed our mission. And then I did what I should have done all the time "All, suppressive fire". This order works like a charm for those enemy targets that play this diabolical hide and seek game with your fire sectors. After 6 or 7 minutes, I know that the action has ended. Since we don't have an after action report utility in ARMA 2, I take a stroll to learn about what just happened. This is the AT-13 team that took out the tank. Our destroyed tank is in the background, 250 meters away. 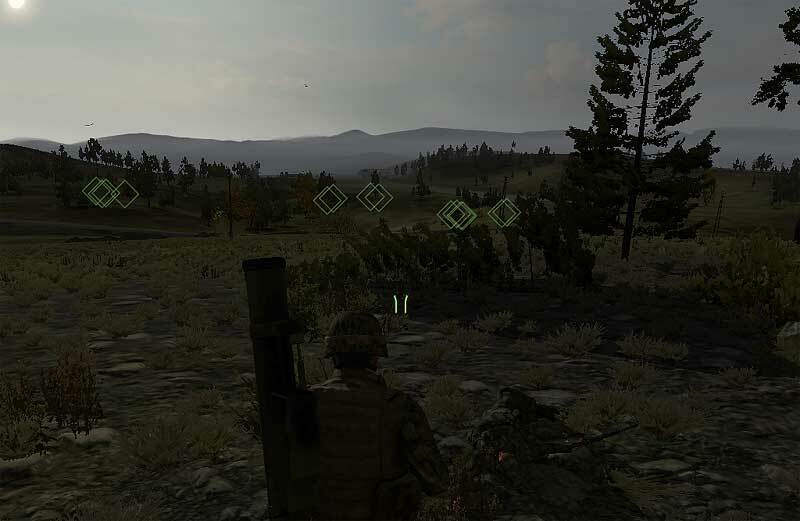 The enemy infantry squad was caught in the open. 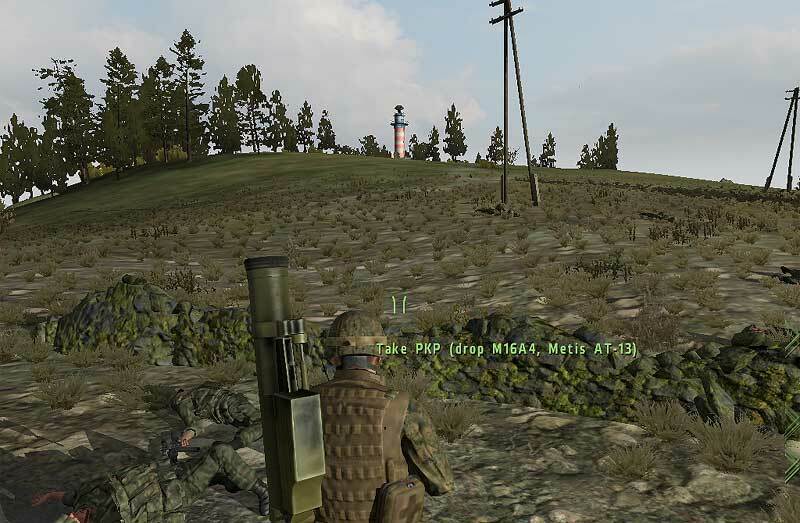 The AT-13 team chose a firing position with better concealment, right below the lighthouse. Would a three man patrol worked? 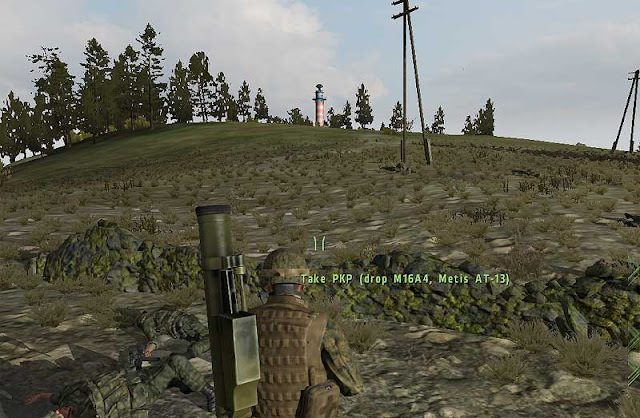 Hey JC I really like your ARMA 2 posts but have you considered using ACE 2 mod? It adds some nice features and some new hardware to the game. Keep up the good work. I am so freakingly busy these days that every second I have for gaming I just choose the low hanging fruit. 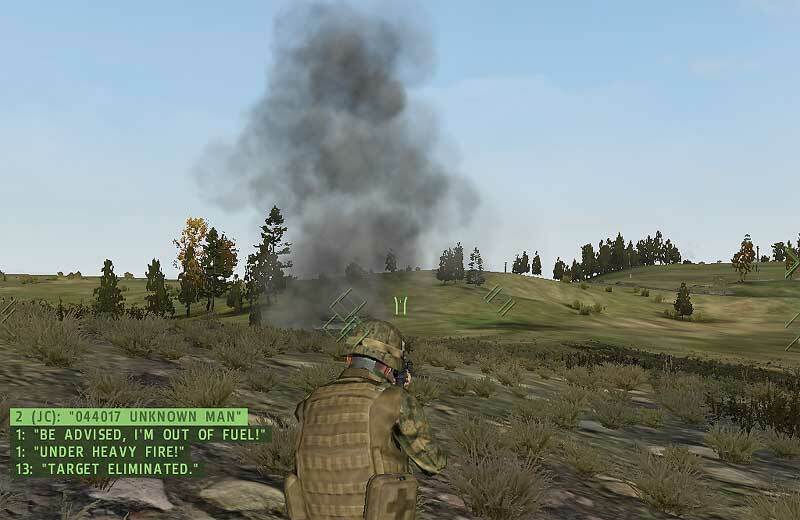 JC, if you are willing to devote the time to installing and learning the features of ACE 2, your Arma 2 gaming experience will be enormously enhanced. It's a totally awesome mod. However, you seem to be playing lots of different games, and not putting a lot of time into each one. Since that's your prefered style of playing, you might not find it worth spending all the time that is required to get into ACE 2.